March came in, and was an awesome time. Too bad ngharo and vlad missed it. We were hopping at the Meetupery! 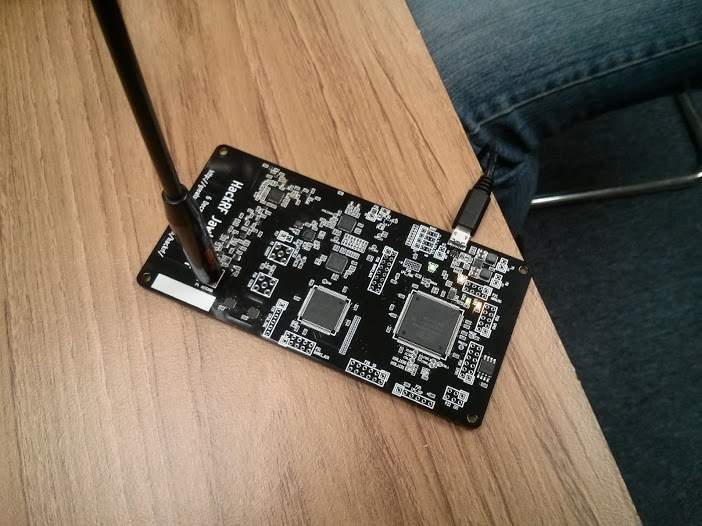 dw5304 got things started with some radio hacking, with his HackerRF board that he’s managed to un-brick. We swept some bands, and learned that car FOBs generally work around 300mhz for sending signals. And Chrysler FOBs have some good output! 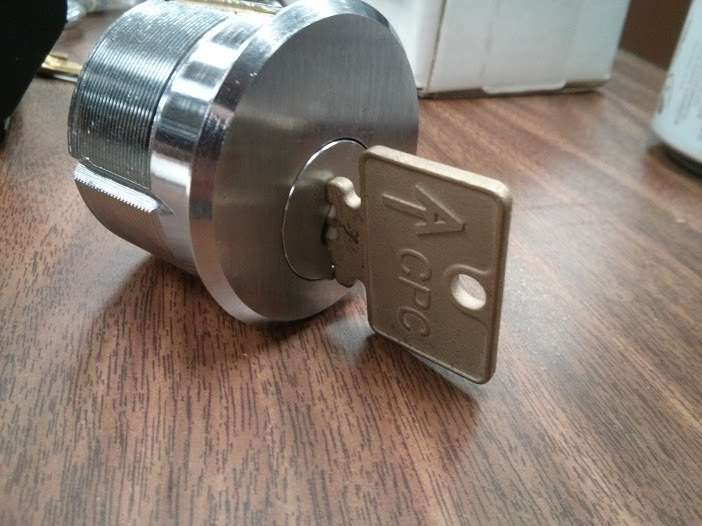 After that, we had some fun with a giant lock that Klaviel tried his hand at. This thing is used for some serious security! 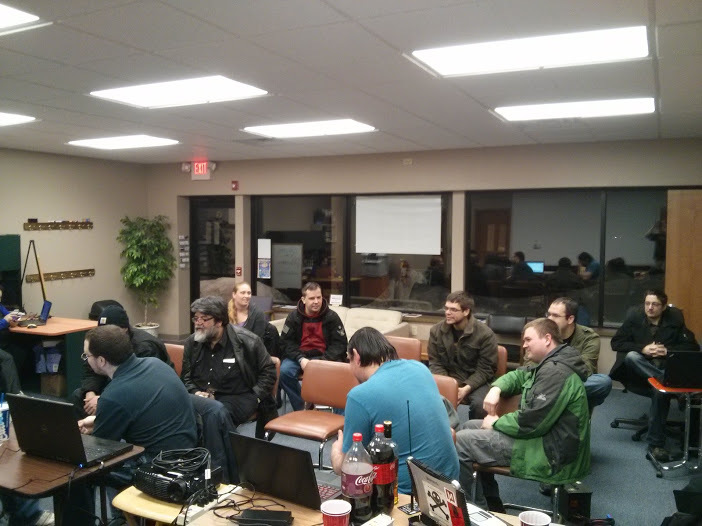 We also reminisced about previous dc414 meetings, like a certain laser incident, and RF jammers. 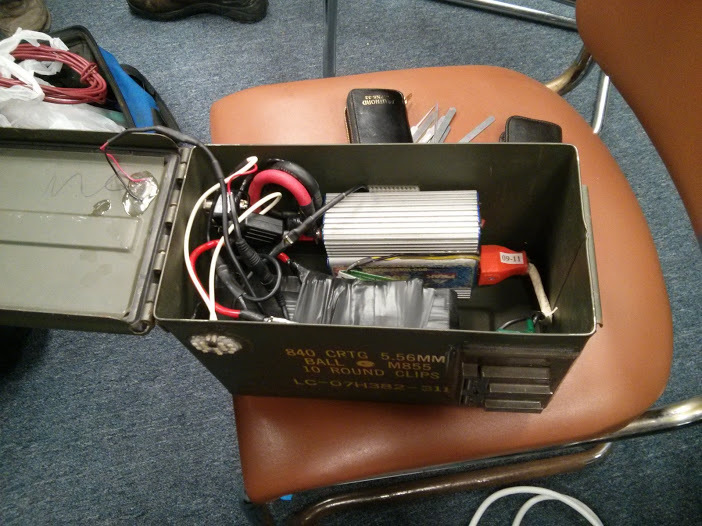 W also got to see a neat piece of hackery, an ammo can turned into a self contained power supply, with lithium drill batteries and an inverter. Awesomesauce! Thanks for everyone who came out, and we’ll see you again next month! This entry was posted in group news, hacking, meetings, projects, security. Bookmark the permalink. 1 Response to March meeting fun!